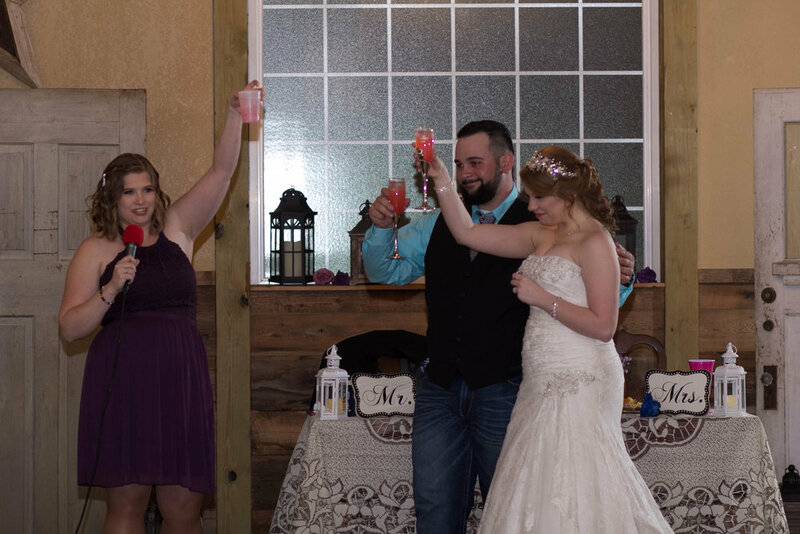 Bradlea and Josh’s County Line Event Center wedding was as intimate and fun as it could be! The couple used rustic and vintage decor, shades of purple and blue floral, with a bright springy color palette to set the mood. 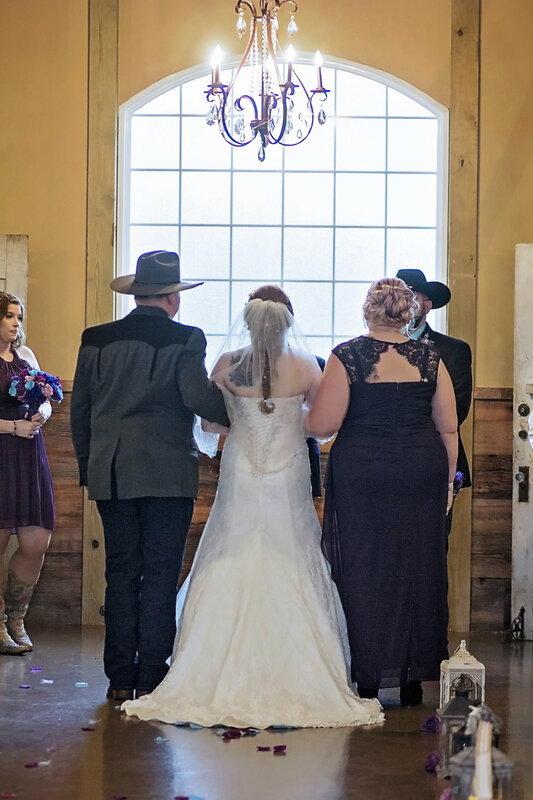 The wide open-feel of the venue, with men in suspenders, along with the eclectic mix of decor, gave this wedding a distinct modern country vibe that the photographer captured perfectly. 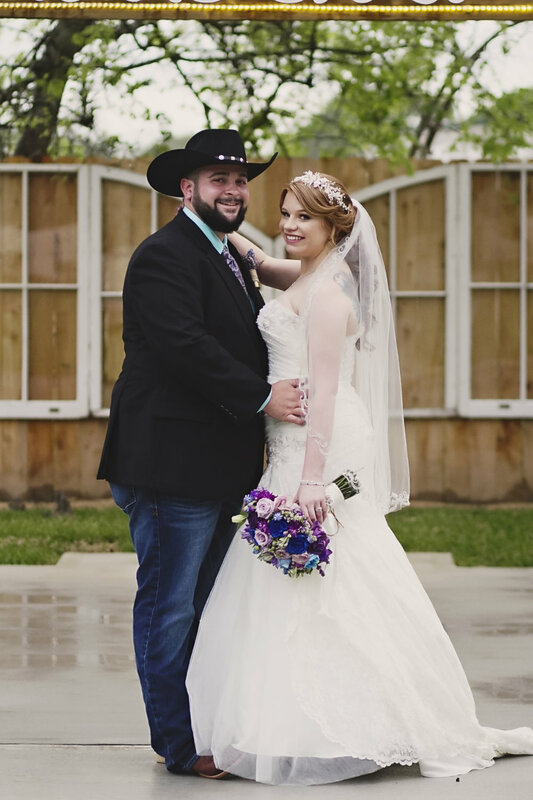 From the moment the couple started getting ready, to the very end of their intimate reception, this Texas wedding was as charming as it was unforgettable. As soon as you set eyes on these photos, we’re confident you’ll agree that this County Line Event Center wedding is the definition of spring wedding goals.